Looking for a way to bring in something bright and colorful to your holiday meals? Why not consider beautiful red tomatoes. 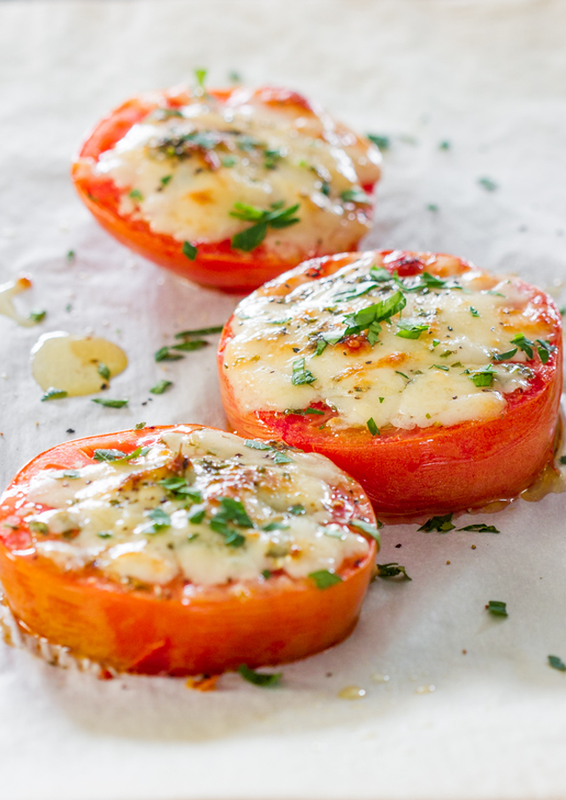 Today’s recipe shared by our friends over at Gardening With Children is a Baked Parmesan Tomato. 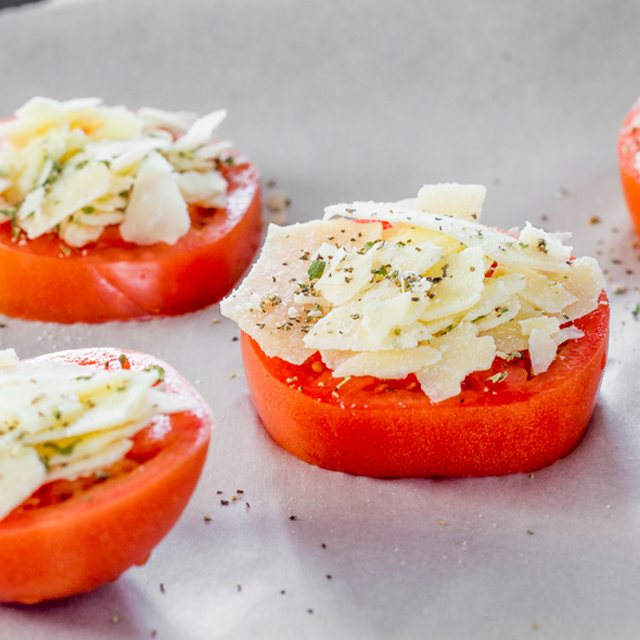 These tomatoes are easy to make, good for you because they’re baked, and can easily work as an appetizer or a side dish! This recipe serves 6 people. In a small bowl toss together the Parmesan cheese, dried oregano, salt and pepper. Top each tomato slice evenly with the Parmesan cheese mixture. Drizzle with a bit of olive oil, this is optional. Bake for about 5 to 10 minutes or until you notice the cheese starts to turn gold. Garnish with parsley and serve. Integrated measuring markings and a non-slip grip are two of the key features of the Cat Cora 3-piece Mixing Bowl Set. 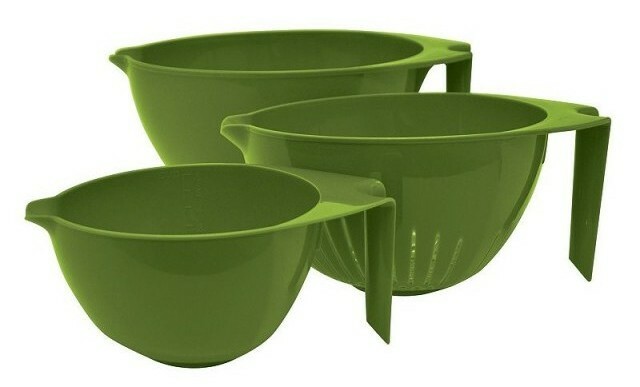 The set includes a 1.5-quart and five-quart mixing bowl as well as a three-quart colander. Buy it now for $39.99 and get 4 Free Bids! 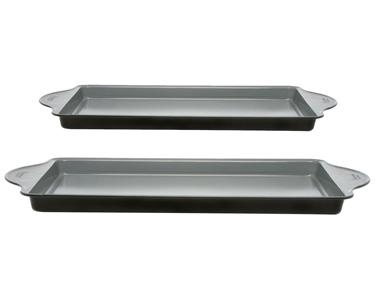 The BergHOFF Earthchef 2-Piece Cookie Sheet Set is a must-have in any baker’s kitchen. Constructed of aluminized carbon steel and oven safe to 600F. Set includes one Earthchef 15″ x 10″ Cookie Sheet and one Earthchef 17″ x 10.75″ Cookie Sheet. Buy it now for $59.99 and get 6 Free Bids! Enjoy this warm treat any time – Baked Apples!